I’ve spent Friday afternoon and evening watching new Remarkable BBC2 quiz Two Tribes with Richard Osman. In my head it worked a certain way, the reality is actually a bit more interesting up to a point. The set is round. Osman stands back to audience, the stage is dominated by two large desks, one with YES written on it and the other NO, in the Million Pound Drop font. There’s space for all seven contestants to stand between the desks, and above the back of the stage is a large screen. We are not privy to the theme tune however if you’re expecting a riff on Frankie Goes to Hollywood you are likely to be disappointed, the incidental music we heard was a jolly saxophone thing. Before the show all seven take a questionnaire with as many as 400 different statements that can be answered “yes” or “no” such as “I believe in fate” and “I am a risk taker” and “I’m cleverer than my partner” – the sort of thing that invites a bit of comment. These are flashed up on the big screen and it will stop on a question. The contestants are then divided into two tribes – those who answered yes and those who answered no. The reveal for this could be a bit better, as it is it’s just Richard reading the names out. Then there’s a little dance whilst everyone makes their way to the relevant desk. There is a bit of Richard Osman Jovial Banter (TM) with each contestant which can be cut to the relevant length. Then the quiz begins. Each tribe will face sixty seconds of general knowledge questions. A question is asked to each member in turn. If they get it wrong or pass it’s passed down to the next member down the line until someone gets it correct or it turns out nobody knows it. If the former everyone’s back in play and the next person in line takes a question. If it stumps the whole team then the round ends there and then so every question carries a certain jeopardy. Richard will often refer to “saving the tribe” to the last person to answer a question. Repeat with the other team. Using your mathematical brain you may have worked out that one team has the advantage of extra numbers. They put it down to the show being as much about personalities as it is about quiz, which I think under the circumstances is reasonable enough, although it might lead to questions about manipulation of tribe selection question. As it is the tribe of three can and do win – I suppose if there is one person holding up a team it will get round to them quicker, and as it stands there’s no way for someone to dominate a round too much. The winning tribe get to go straight back to the middle. The losing tribe must face off in a quickfire showdown – a correct answer puts you through, a wrong answer eliminates you and being the last person to give a right answer also eliminates you. Thusly good people get a chance to save themselves if they’re quick on the draw but also run the risk of buzzing too early and eliminating themselves. I don’t know what happens in the event of a tie, presumably a buzzer question. Rinse and repeat twice more but split the contestants up along different tribal lines. The round of three vs two feels a little bit more unfair. Your mileage will vary as to how much this matters or not. At the final four the game changes a bit, certainly for the less interesting. 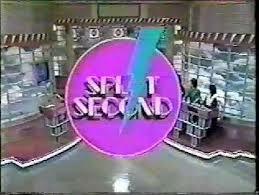 They are split up two vs two and now the first team to get five questions correct on the buzzer wins. The losing tribe go home, “no second chances”. And then we come to the final and rather disappointingly it’s a 60 second chess clock quiz – a mechanic we used to love when we first encountered it, but I find myself getting increasingly ambivalent towards. At least this starts on a buzzer question to determine whose clock counts down first, which is logical and fair. Except for no discernable reason every 45 seconds or so Osman will stop the game for a quick chat. It’s completely unnecessary – it’s certainly not played at the most hi-octane pace and it doesn’t inject drama into the proceedings. You could have used that time to have split the last two along a tribal line and got some comedy out of it (they’re just at opposite desks at the start of this round). Whoever doesn’t run out of time is the winner and they win £1,000. EXCEPT not in cash money, they have to pick one of two categories of things they’re going to spend the money on (like “travel” or “gadgets”). A grand in vouchers basically. Osman is accomplished as host. It’s his first time hosting on his own, although seeing he’s been a producer for X years he should have a good idea of what’s required. And thusly we come to the conclusion. There are formats we like and there are shows that are successful. It’s great when the two overlap, ultimately it’s the former that’s interesting and the latter that’s important. Two Tribes is an OK format. I think it gets less successful at what it sets out to do towards the end. However there are two things that give it a good chance of success – first it’s Richard Osman firing off lots of general knowledge questions (about 80 I reckon) and doing Jovial Banter and the second is it’s a light general knowledge quiz that’s being parachuted into the BBC2 early evening slot. I don’t know whether it will be replacing Eggheads or going on after it (it’s due to start in September), and obviously if it’s a replacement we hope for a Richard Madeley style “and I’ll see you on Two in just a minute!” shenanigans at the end of Pointless. The host, style and timeslot are a perfect fit and if it was hosted by someone else or put in a different timeslot I don’t think it would be successful, but in a world where production people and commissioners make seemingly dumb decisions all the time it would be churlish not to point out that as it stands actually this might be a very savvy one. For me it’s too light a quiz to watch more than occasionally, but there’s a sizeable audience for this sort of thing at that sort of time, and at half an hour won’t outstay its welcome, so. And of course we have to point out that FOTB Dan Peake is one of the question writers on the show. He should probably get a raise. Incidentally it took about three hours to film two episodes, the second one dragged a bit because of technical problems and the like, the audience were treated well. If you have questions I’m happy to field them. Incidentally if this sounds appealing and you’ve an afternoon free next week, they’re still filming and there are still tickets at SRO. Thanks for your great report. Seems to me not a bad show. But golden rule for a real good quiz game is: HIGH PLAY ALONG VALUE for viewers at home. Looks like this quiz show will not deliver a real interactive online game or app. And the game is also lacking an original Q&A principle. Compared with POINTLESS this new show feels less strong. So is this the next daily ratings winner for Richard Osman and BBC? That’s the question! Thanks for the lovely write-up Brig! I’m obviously not going to say anything revealing, much to everyone’s disappointment. My responses might be a little “yes man” ish but hey, I like the job and would quite like future jobs. So there. No Frankie Goes To Hollywood riff, sorry. But having heard the theme tune many times recently, I think it beds in quite well. And, while we’re on that joke, no, one is not all that you can score. In the run-throughs before studio, the chess-clock end game worked really well with organic stopping points. It served to highlight the tension / lack of depending on situation. I think we need a bit more practise to get the final round just right. I reckon the play-along value is quite big – there’s lots of questions to shout at the telly with and hopefully you’ll find yourself going “I’d be on the X tribe here” for each one. Yes, I deserve a raise. I ALWAYS deserve a raise. My part in all this has been fairly minimal really – certainly format wise. I’m just there to write a good proportion of the questions and help with the filming. As I type this, there’s a massive thunderstorm outside, so I’ve probably angered something with a stick, so I shall stop here. Oh, about 9 months ago I staged several run-throughs of a quiz featuring the pass the same question along the line mechanic for the same commissioners who commissioned this. I guess that’s where me not being Richard Osman and CPL not being Endemol works to my disadvantage. Pointless held up very well against the football. Channel 4’s daytime lineup was also around its usual level. The only thing that was hit was Eggheads with 0.74m (5.0%). One of the things that’s changed in the formats business in the last few years is that people have got better at coming up with game engines that basically work. Where some formats are lacking, according to commissioners, is the emotional involvement. Things being a competent quiz aren’t enough any more. Did anyone see / report on the pilot of ‘Win Your Wish List’? BBC have commissioned a series. No, wasn’t aware they did an audience pilot. Is it possible you’re confusing a couple of different formats? The “Win Your Wish List” pilot was a Victory Television production for the BBC lottery slot. My understanding is that it was broadly the same format as a show called “Who’s Asking?” which they had previously piloted for ITV. My understanding was also that it was not going to series, although of course that information could be wrong or outdated. This is an entirely distinct format from the Victory Television one. Oh, just seen the Broadcast story. Ignore me. Seems like there’ll be two “wishlist” themed shows on telly in the coming months. Similar thing happened to Victory and 12 Yard with sand timers last year, weirdly. Anyway, yeah – my understanding is the Victory show is a similar format to “Who’s Asking”, in which pairs of contestants ask one another questions. What makes it distinct from the victory format? One’s meant to be a lottery show with a general prize theme, the other more wedding themed. Two different formats with a similar premise. Thanks for that info Paul. I’d applied for tickets to see ‘Who’s Asking’ but never got around to going – even though that show has the ‘honour’ of being the last pilot to be recorded at the BBC Television Centre, by taping in on Good Friday last year – the last official day of work in the studios. By logical deduction, I thought Victory would be behind it as that was being done the day after ‘5 Mins to a Fortune’ finished recorded the full series in TC8. Guess they used the same set, and covered up the egg timer in a dustsheet for the purposes of the pilot. That synopsis for the wedding show sounds interesting (and ever so slightly familiar) Mentioning no previous formats running on similar tramlines, of course. (rebuild as Love Me Do, one year later). I do actually think there’s some mileage in shows where you can win a dream wedding – they’ve had big runs in Europe over the past twenty years, although I do think they need to play up the ceremony and the glamour a big wedding can provide, and also they need to time the series to coincide around the time of other big weddings – Wills and Kate would have been a brilliant point to launch something like this off of, and it’s not like nobody knew it was coming. I was a contestant on an episode recently so, I can tell you what happens if the tribes both score the same. In the rules it states we must pick a champion and they will have a one question face-off with the other tribes champion. Oh an Richard still hadn’t got the hang of asking questions either, we had to rerecord three questions down to errors on his part. Which meant a lot of us were forced to pass questions we knew the answers to. I thought he was fine at the recordings I went to (on the Friday) although there was an incident as I recall where they had to re-record a bit when someone gave an incorrect answer then muttered the correct answer, or answered out of turn or something, I can’t remember. They had to reshoot with a different question, meaning people had to pretend to pass to get to the right place. Except on the reshoot one of the people who should have passed accidentally answered it, so they had to reshoot again with a further question. I really like the game, and like Richard Osman, but it annoys me every time he says ‘were asked the following’ but then shows a statement not a question. You cannot ask a statement. Sooo annoying!